The 14th round table of the ART of CROs (Chief Risk Officers) was recently held at the MAPFRE University Campus in Madrid. The Geneva Association is the leading international insurance think tank, and addresses important topics in the fields of insurance and risk. Through its research programs and publications, and its organization of international meetings, the association has become a catalyst for advances in the understanding of the aspects currently affecting the world of insurance. The topics discussed during the round tables included cyberrisk, new digital trends and advances, the main challenges facing the global insurance industry, the threat of terrorism, changing political and economic scenarios and the challenges posed by artificial intelligence and its applications. 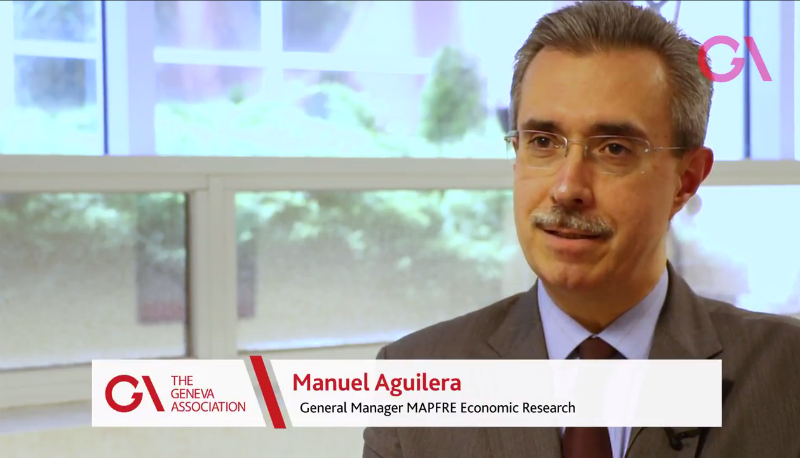 This year MAPFRE was invited to host the annual round table of CROs at MAPFRE Corporate University in Madrid. The round table was presented by Anna Maria D’Hulster, secretary general of the association, and Ramón Carrasco, CRO of MAPFRE. The association consists of 90 CEOs from leading insurance and reinsurance companies worldwide. Created in 1973, the Geneva Association is based in Zurich, Switzerland, and is a non-profit organization founded by its members.